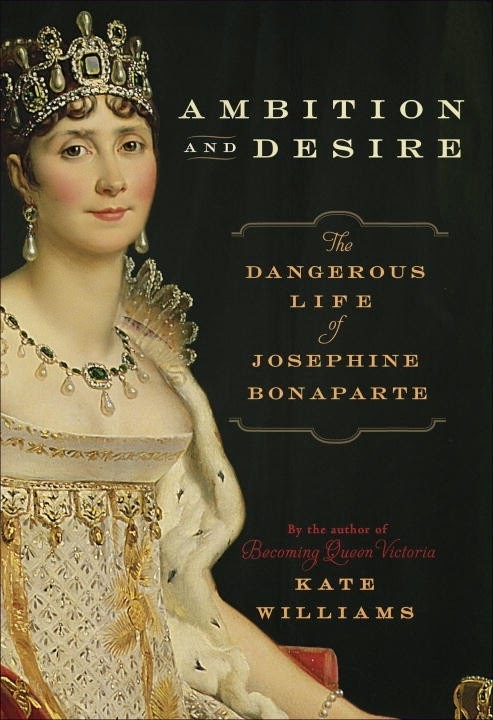 For readers of Elizabeth the Queen; Georgiana, Duchess of Devonshire and Alison Weir's biographies of European royalty, a gripping account of the rags-to-riches story of Josephine Bonaparte from CNN's official royal historian Kate Williams. Josephine and Napoleon Bonaparte: one of history's most famous unions, synonymous with both passion-"I send you a thousand kisses," Napoleon wrote to her, "but send me none back, for they set my soul on fire"-and unbridled ambition. Napoleon's rise to become one of the most powerful leaders and conquerors of all time is legendary, but who was the dynamic woman who conquered the great Emperor? It turns out that Josephine's ambition was nearly as great as her husband's, and her life from humble beginnings on the island of Martinique to being crowned Empress of the French is a fascinating story of splendid successes and devastating set-backs. KATE WILLIAMS is the author of two previous biographies, England's Mistress: The Infamous Life of Emma Hamilton and Becoming Queen Victoria, and a novel, The Pleasures of Men. She fell in love with the eighteenth century while studying for her BA at Oxford University, and went on to earn an MA from the University of London, and a DPhil in history from Oxford University. Williams has hosted several British TV historical documentaries, and is a lecturer and TV consultant, appearing regularly on BBC and Channel 4 to discuss her work. Her articles and essays have been published in a wide range of books and journals. Williams' latest media success is her new contract with CNN, which means she regularly appears in the US for the first time on several of CNN shows and news reports. I thought her life was fascinating and sad as well. She had so much to contend with and she was so in love with her husband as well despite his constant infidelity. I am going to buy this book! !